Humanitarian engineering is about applying and developing technology – not to meet a market or financial opportunity – but to address a real human need. It is about serving a disadvantaged community or group, often overlooked by traditional engineering and technology projects. From poverty alleviation to disability access, humanitarian engineering highlights a new approach to developing and implementing technologies. The JHE was established in 2012 to provide a forum for such research to be published. 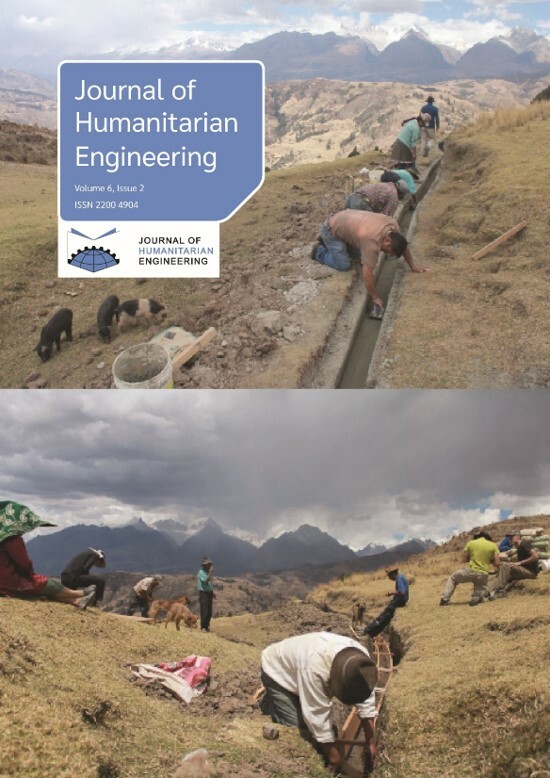 The JHE is published by the Education and Research arm of Engineers Without Borders (EWB) Australia. Research that collects dust on shelves or is stored away in the depths of an electronic archive is research that fails to make an impact. Dissemination is key, and this is why the JHE is free to submit to and free to access. This is made possible by a hard-working team of volunteers and generous support from EWB Australia’s partners. 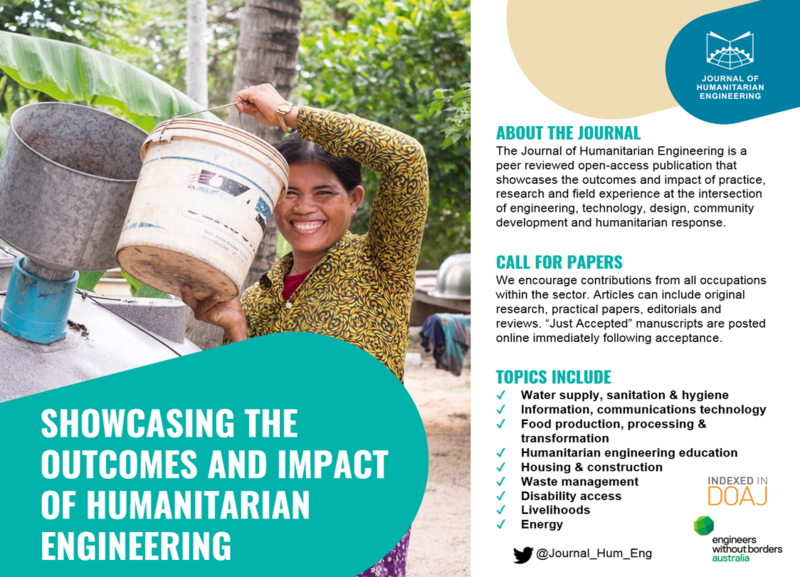 Please note that “humanitarian engineering” is often known by a plethora of other names, some of which include “development engineering”, “global engineering”, “technologies for development” and “appropriate technologies”. We are very happy to receive submissions from all of these fields. If you are interested in submitting an article but may require some assistance in preparing a submission in English, please contact us (journal@ewb.org.au) as we may be able to support you with authorship mentoring.